The Quiet Place is a set of properties throughout the Finger Lakes that seeks to provide exceptional accommodations at a reasonable price. The project I embarked upon with them, branding through art, had a goal of using art to create a sense of peace, solitude, and well being for their brand. 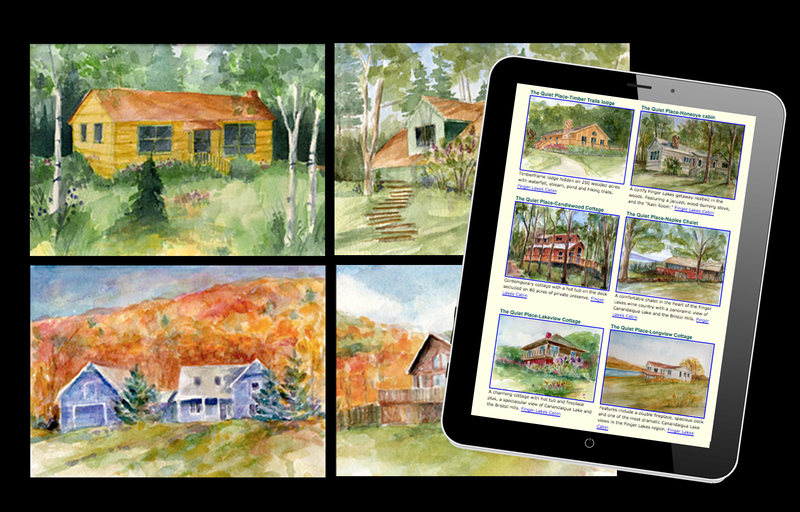 The paintings are used for print advertising, business cards, rack cards, and web graphics. With strong branding and marketing, The Quiet Place has grown from one property in 2000 to 20 in 2014.